David Gilmour continues to shake us awake with his Rattle That Lock LP, his first solo offering in 10 years. Following an epic animated clip for the title track, he's offered up an oceanic set of black and white images supporting "Faces of Stone." 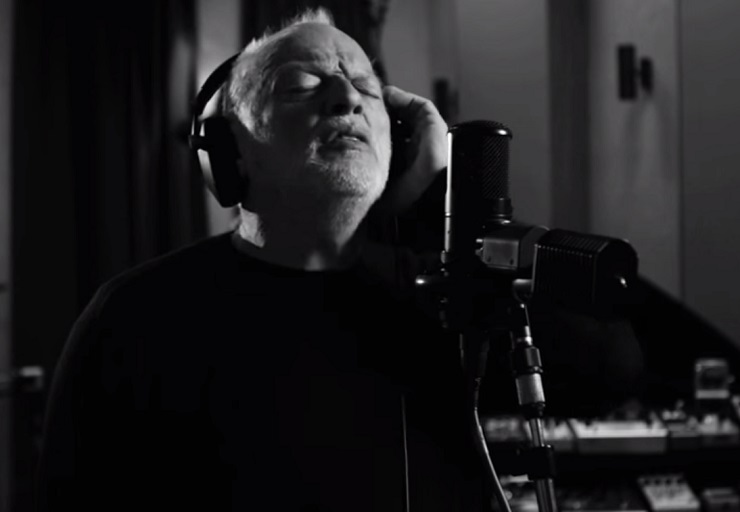 The video bounces around between shots of Gilmour plucking an acoustic guitar and tracking his vocals in the studio, to more cinematic sights. As you'll see down below, this means the musician's tale of lost love is synced up to visuals of a woman exploring sudsy shores. You can take a look at the immersive audio-visual piece down below.